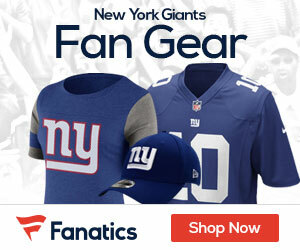 Plaxico Burress, cut by the Giants last week, has won his grievance against the club for withholding his bonus money, a source has told FOXSports.com’s Alex Marvez. The NFL Players Association and NFL attorneys made their arguments during a 3 1/2-hour hearing before Special Master Stephen Burbank at the University of Pennsylvania law school on Wednesday. The union contested the New York Giants’ decision to withhold a $1 million bonus due Burress after the receiver accidentally shot himself in the thigh in a Manhattan nightclub in November. The money was part of a $4.25 million bonus Burress was to receive as part of a contract extension he agreed to with the Giants in August. Burress was charged with felony gun possession after the shooting. That case has been adjourned until June 15 as Burress’ attorneys and prosecutors continue to discuss a potential plea deal. The Giants suspended Burress, who also was fined and finished the season on the team’s non-football injury list. The union filed a separate grievance over what it termed excessive punishment by the Giants. His suspension cost him more than $800,000 in salary. The team also fined him more than $200,000, his single-game salary. It’s a potentially precedent-setting decision that could determine whether NFL teams can override guarantees negotiated into contracts should a player violate team or league rules. Unlike North America’s three other major professional sports leagues, NFL contracts are not guaranteed if a player is released unless those terms were negotiated into the deal.